This was a big and beautiful cake but unfortunately I do not have the time and enough lightings to take good photos as the cake was stacked and decorated in the ballroom instead of my home. 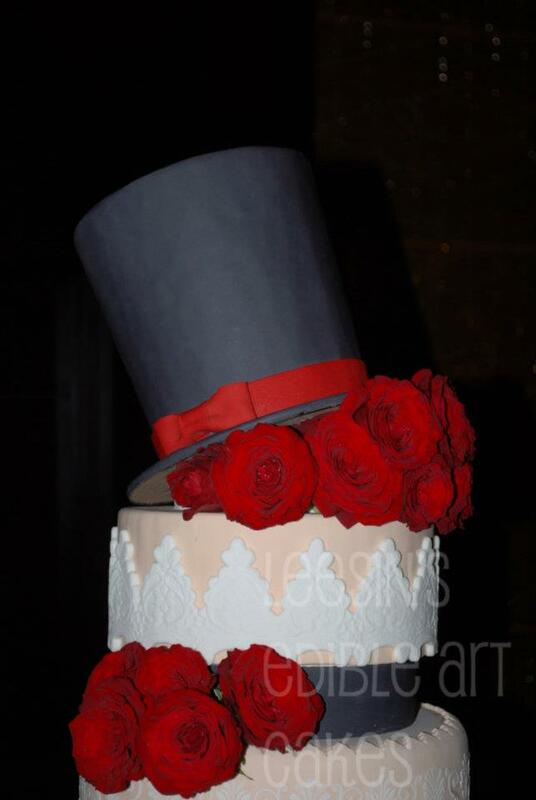 The bride said she wanted something unique like a tophat for her wedding cake. I kind of like the idea. 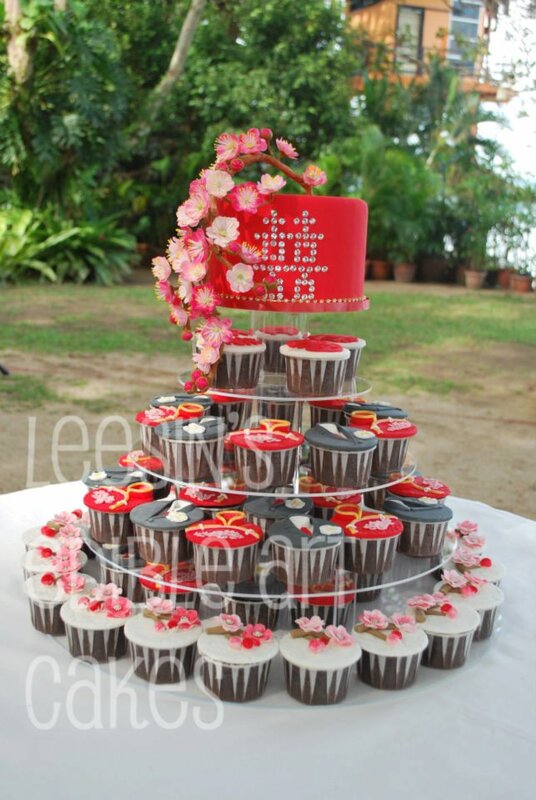 Usually bridal couples are very cautious and prefer simple cakes. 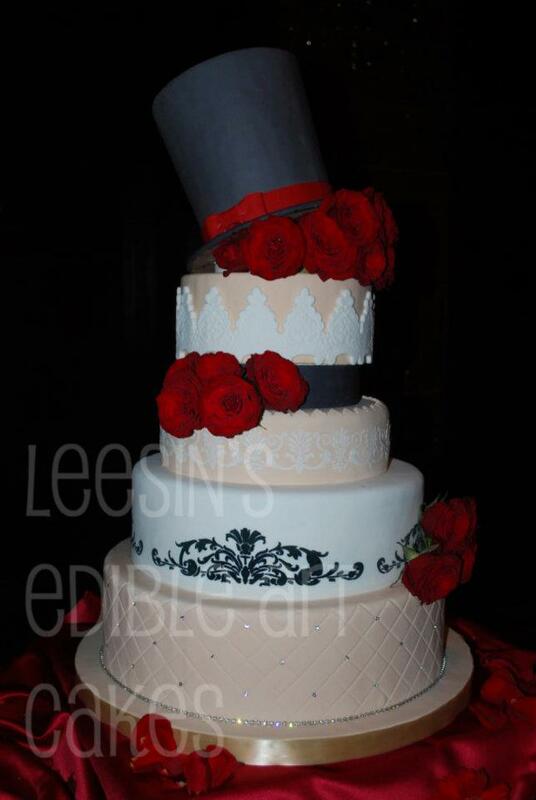 The theme colors were dark red, black, white and beige. 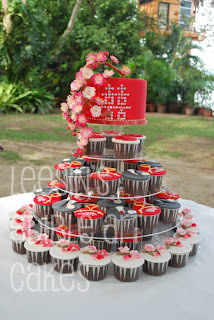 This was the couple who had the Cherry Blossom Oriental cupcakes for their morning reception. I had a wonderful surprise in my mail box one day! I came in a form of a thank you card with a photo of the couple in their bridal attire!!! How sweet can that be? 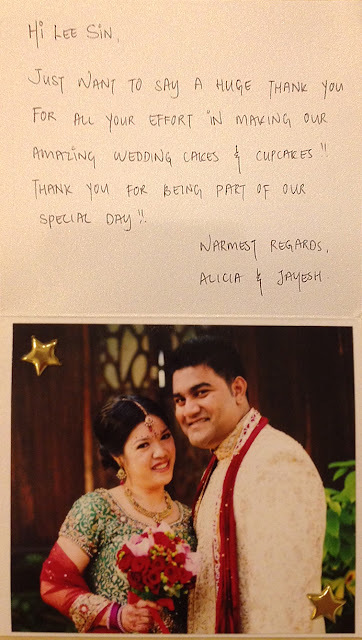 Thank you to you too Alicia and Jayesh for having faith in me on your special day!